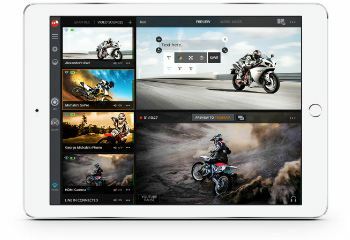 • SlingStudio for Mac version 1.4.85 adds video importing capability for laptop and desktop users, as well as Instant Replay and the ability to swap between Preview and Program modes from a computer while streaming live. • Mac laptop and desktop users now have the same functionality already available to iPad users on the innovative and affordable SlingStudio video streaming platform. The SlingStudio platform (base package $999 suggested retail price) is capable of recording, monitoring and editing four HD video inputs from up to 10 professional cameras, camcorders, smartphones and even drones. It can stream live video to a private network as well as Facebook Live and YouTube, while simultaneously recording to a USB hard drive, a solid-state drive, or to an SD card for post-production. SlingStudio’s robust wireless technology operates with minimal interference at distances up to 300 feet, making it suitable for both indoor and outdoor sports, worship and performance venues.